Noon-Good race. We got to the course about an hour and a half before our race. It was super cold when we got there, and yesterday was pretty cold, so I was bundled up today. We warmed up about 2.5 miles, then stretched and headed to the start. We've been working on getting out strong due to Notre Dame's race where almost the whole time got out in the back and spent the majority of the race getting to the front. I started on the second line again, but luckily it wasn't like the last race where everyone cut in immediately. I was about 5 meters behind our next guy, Zac, at about 150 meters. I found a whole of people and just went through that and went to the front. There were 2 guys ahead of me and Rory was right behind me. Rory just told me to chill for a bit, so I did up the hill. Eventually Rory and I were in the lead, and we were only about 1km into the race. We ran side by side for a bit, and then worked together to get up the short steep hill. I just relaxed on the way up and then relaxed on the way down. When I relax on downhills, I usually run pretty quick though, so all of a sudden I was leading all on my own. I upped the effort a bit and had a gap on the field for the next 1000m or so. After we hit two miles, or so, the pack caught up. A guy from Montana State passed me and ran next to me for a bit. We both pushed the pace a bit, then after 4km I decided to make another push and after had the thought that I could win this race. This was into the wind, so few people wanted to try and catch me at this point. So I kept pushing. At 5km, I heard I had 15 meters on the field, and decided to make a move to try and win the race. I kept this largish lead for the next two kilometers. With a mile left, I told myself only 4:40 left of pain, but my legs were starting to hurt a bit and fatigue was slowly starting to settle in. 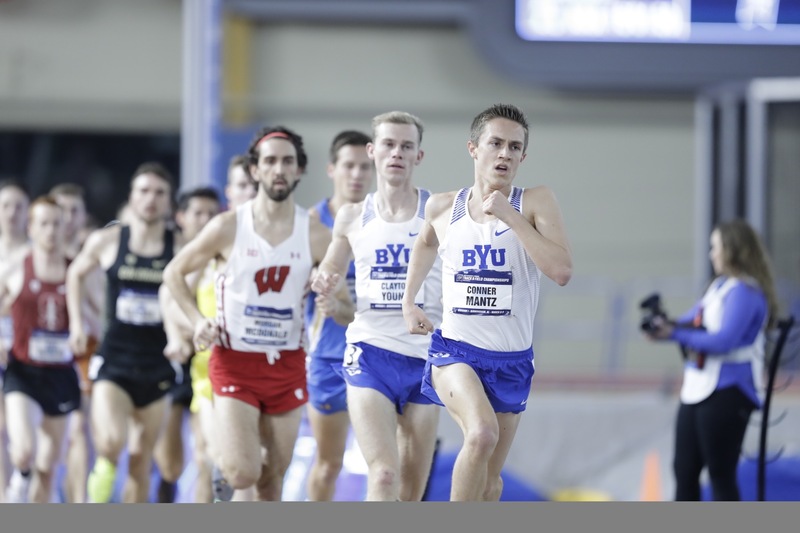 I maintaned the same effort, and got passed by a guy from University of Washington, we ran up the hill together, but I thought I was about to get swallowed up by the pack, so I tried to reserve a kick. I stopped trying to kill it and just save a kick. Clayson passed me, then a few other guys passed us, then Rory passed us all, and I realized that I needed to start kicking. I was a bit late on the kick, but I passed hte UW runner and Clayson. I should've made the move earlier because there was still some left in the tank at the end, but it's all good, Nationals is where it's going to matter the most. It was great to have a teammate win though, as always. Looking back at it, it was a fun race. It was nice to lead and be at the front, and due to the wind, no one else wanted to push the pace, making it feel almost similar to a solo tempo run then a race. This race was mainly to build confidence. Onward to hard workouts! Evening-5 easy miles with the boys. You guys were definitely on today. I hope you all can pack run like that at real nationals! Fun to see you guys run so well, but I�ll tell you... I realllllly was pulling for you to get that W! Dude, solid representation at this race. Beat NAU's total time and had a tighter spread. I got fired up seeing all of the results and instagram videos so good freaking work and congrats on the top 5 personal finish. Great performance, Conner. Keep it up!